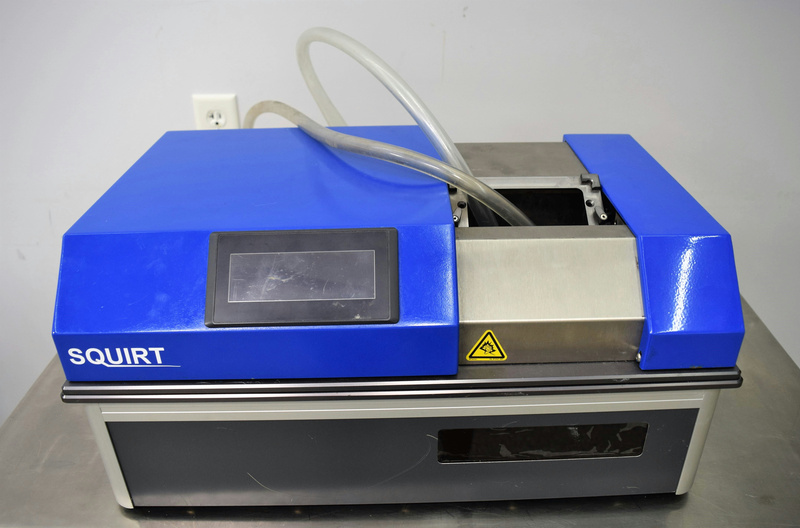 MatriCal Squirt SQT-500 Multi-Format Microplate Washer . New Life Scientific, Inc.
New Life Scientific technicians were unable to repair this microplate washer and it will be sold for parts. The technician attempted to resolve errors within the sprayer by disassembling the instrument. The product would not home therefore a sensor was replaced and the rails were greased. A plate handler error displayed and this could not be fixed by installing another new sensor. The original sensor wiring may have been inconsistent which led to the errors when reassembling the instrument. A customer with a service manual or more familiarity may be better suited to fix this instrument or use it for parts. This product is not functioning as intended and will be sold for parts only. The body is in good cosmetic condition and the customer may be able to perform repairs or use this as a shell. Being sold for parts/broken Details in listing overview.